When Bryan Environmental Consultants came to us, they knew their existing website wasn’t serving them. They had very minimal content, no project portfolio, and it was cumbersome for prospective clients to contact the company. The company’s key staff bios and accomplishments were not present. In short, the old site wasn’t engaging to prospective customers. At the end of our project, the new Bryan Environmental website was an attractive, engaging website that gives prospective customers a clear understanding of the services provided and showcases their many significant past projects. 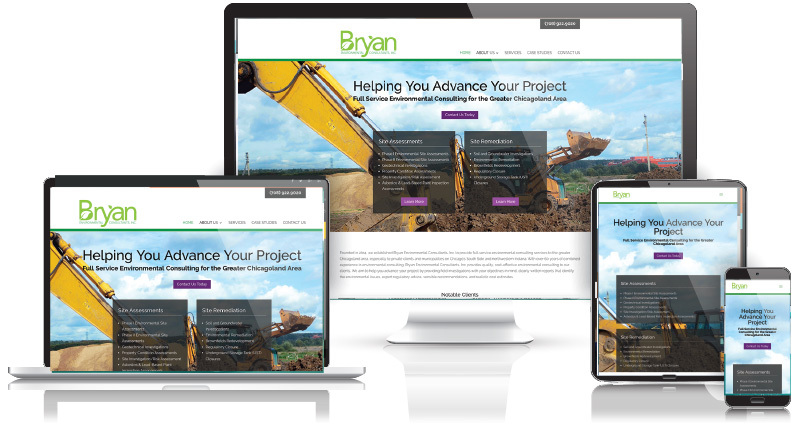 The main goal of the website redesign was to validate Bryan Environmental’s abilities and credentials, and the new website does just that.